Wicked the Musicalis Based on the acclaimed novel by Gregory Maguire that re-imagined the stories and characters created by L. Frank Baum in ‘The Wonderful Wizard of Oz‘, WICKED tells the incredible untold story of an unlikely but profound friendship between two girls who first meet as sorcery students. Their extraordinary adventures in Oz will ultimately see them fulfil their destinies as Glinda The Good and the Wicked Witch of the West. 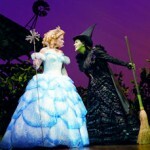 Wicked the Musicalwas Winner of 2010 Laurence Olivier Award for ‘Most Popular Show’,Wicked the Musical was the 2010 Whatsonstage.com Award for ‘Best West End Show’ and Wicked the Musical was also the 2010 Broadwayworld.com UK Award for ‘Best Long-Running West End Show’. 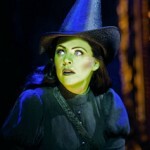 Cast of Wicked the Musical includes: Rachel Tucker, Louise Dearman and Mark Evans. Bbar restaurant and bar is located opposite Buckingham Palace Royal Mews, and minutes away from Victoria station and its surrounding theatres. The distinctly South African-influenced Bbar offers intimate surroundings making it a great location to enjoy delicious cocktails, more than 100 fine wines and modern bistro food with a South African twist – all served by friendly and attentive staff. It makes a wonderful setting for office parties, anniversaries and family occasions. Great Italian food by friendly staff in stylish and contemporary surroundings. Menu includes a wide range of stone-baked pizzas and calzones, pastas and risottos, as well as a selection of chargrilled chicken dishes and fresh salads.